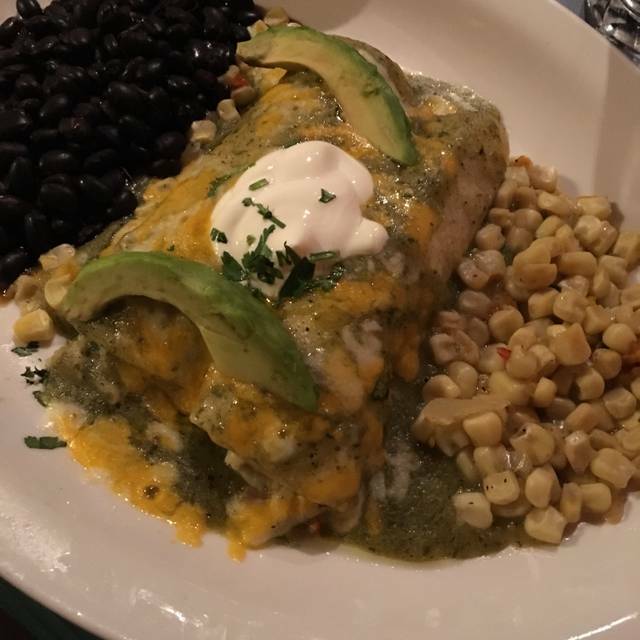 You must make reservations at least 5 minutes in advance of the time at Gabriel's - Santa Fe. Gabriel's is perfectly suited to accomodate groups from 10 to 100 in both private and semi-private dining rooms. Please contact us for details. 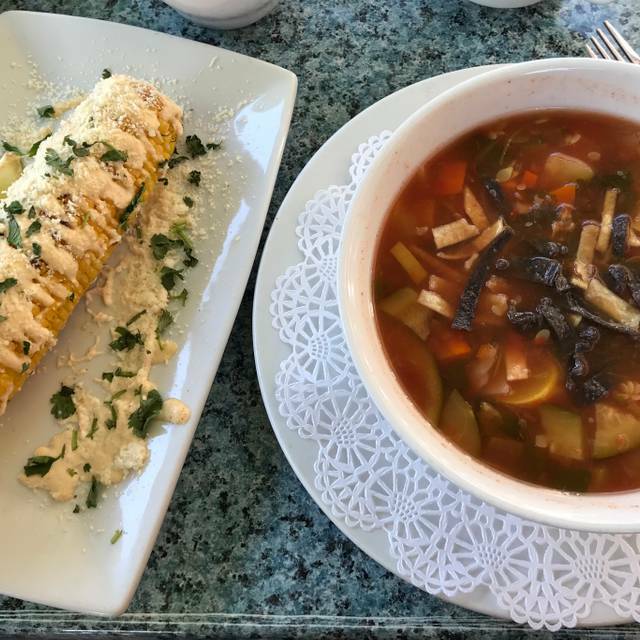 Five minutes north of the Opera on Hwy 285, savor the cuisine of the Southwest and Old Mexico at the eatery Zagat labels "one of America's top restaurants, a true Mexican classic, rated excellent in all categories." Enjoy the spacious outdoor patio with a spectacular mountain view. Inside, the thick adobe walls and kiva fireplaces create a cozy, romantic atmosphere. Featuring guacamole made fresh at your table, renowned margaritas, authentic Mexican cuisine and handmade corn tortillas. Lunch and dinner served daily. My favorite restaurant. Food, service always excellent. Keep up the goid work! 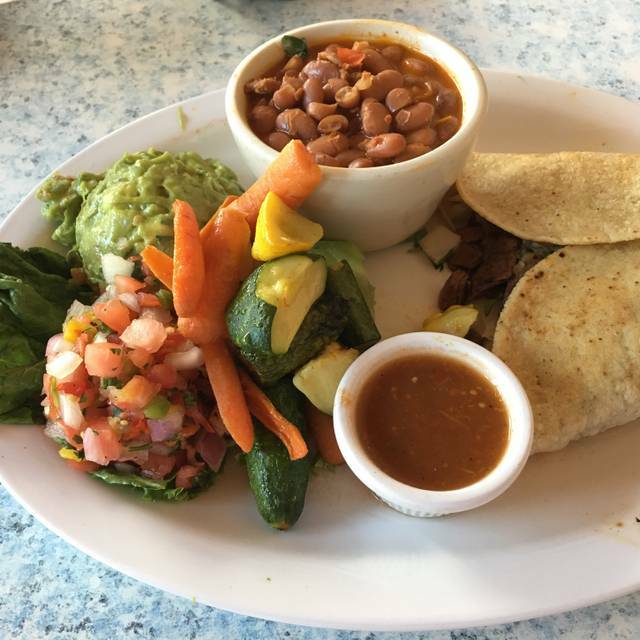 For authentic New Mexican food at a reasonable price, this is the place. It was a bit of a drive but worth it. We all felt like we ate too much, but it was nice to try and experience! Average Mexican food. Very noisy. Not worth a drive from Santa Fe. The food we ordered had no chili taste and the food did not meet my expectations. I expected more of a southwest flavor but found that the dishes were quite bland. Gabriel's food is always great. However, on this visit they first tried to seat us directly in front of the Ladie's room. They quickly reseated us, but the noise level really prohibited conversation. In warmer weather on the Patio it is much more relaxing. Gabriel's is my tried and true. It's not all fussy and while it's always busy it never feels frantic. It just feels authentic and I think in at least 20 years I had only one mishap which was we had reservations for a larger group (I think it was maybe 8) and they didn't seem to have us down. But we opted to put tables together in the bar and it was wonderful as always. I've been back 2-3 times since then and it has been perfect. It is moderately priced but has the feel of a fine restaurant in Old Mexico for special nights. The tableside guac is to die for. The main dishes are good - not too hot and not too bland. They never rush you and the service is unobtrusive but enough. 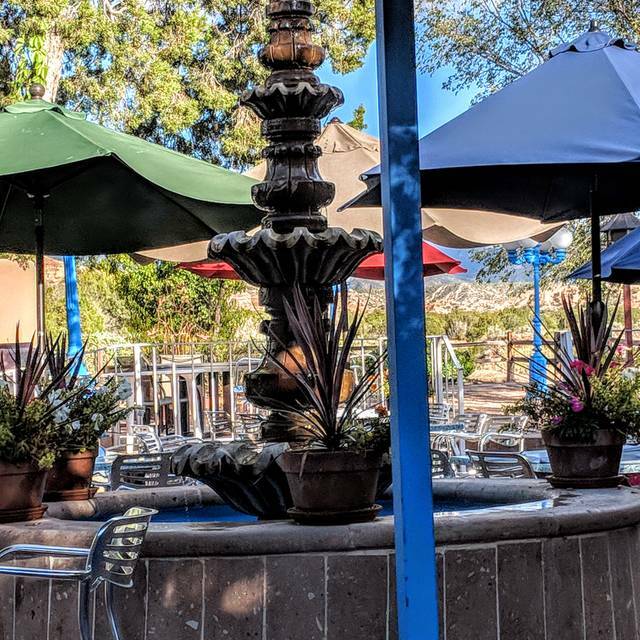 Sometimes I hear people sneer about Gabriel's in favor of some of Santa Fe's wildly expensive and highly over-rated and sometimes snooty newer establishments. I love Gabriel's and remain loyal for special occasions or just because. I'm looking forward to another summer of dinners on the patio before the opera! Inside, my tip is the tables in the bar. The larger rooms can be noisier because it's usually full. Opt for a corner in the bar - quiet, intimate, and wonderful between the fireplace and the window. Gabriel’s is always a nice experience. This night was a work function for some people from/outside of NM. Really good classic mexican, posole, guac, carnitas. Food was underwhelming. Nothing was ‘bad’ but nothing was ‘good’ either. Staff was working hard and attentive. Very well run. Great service and food. A bit dated, but overall nice experience. It took ten minutes for anyone to come to our table. We had no water or waiter even in the room. We had a back room that was very sterile and more or less neglected at times. 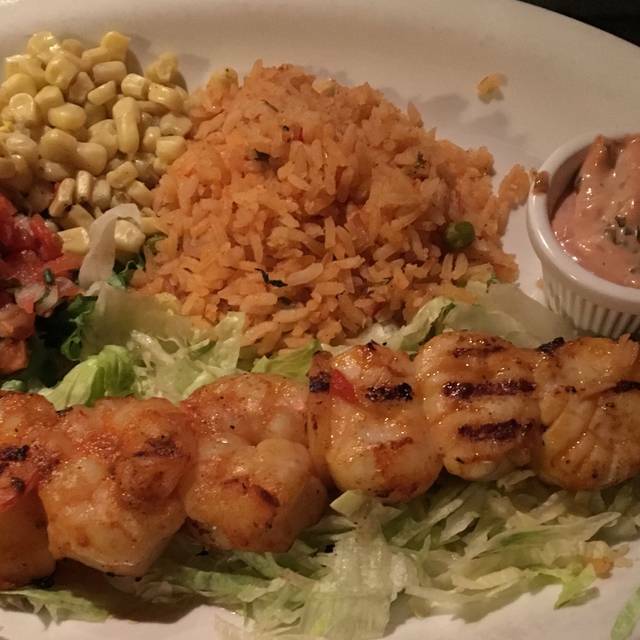 The food is fresh and delicious. 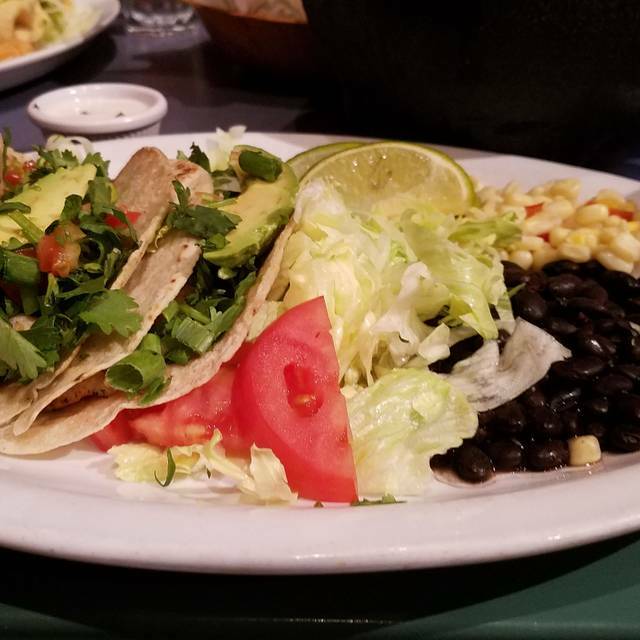 I ordered a vegetarian Mexican plate that was very tasty. The magarita's are amazing! Wait staff was very attentive and even sang Las Mananitas to my fiance to celebrate his birthday. FUN! Service was great and our server Pedro was very attentive. Great food, reservations recommended. Gets crowded. Ribs were amazing. I’ve been all over the country and much of the world, and I love food. My mariscos fajitas dinner was in the top 10 of any meal I’ve ever had anywhere. Seriously. I just ate the rest of it for supper — cold. It was that good. And we didn’t even get to see Cormac McCarthy. Maybe next time. No reason to make a reservation, ours was for 7:00 pm seated at 7:30, walk-in were seated before us. Great chips and salsa, my enchiladas were good, my wife fajitas poor quality. Good waiter, but help sweeping us large amount of trash into our dining area during dinner, unacceptable! Some of the best trained staff I’ve ever seen. Thoroughly professional and polite. Great food on a distinct menu. I am a Native New Mexican and this has been one of my family's favorite local places for decades. The night we went was the worst I have ever had there. The service was rushed, the food was way below expectations. The guac is always great, but was so rushed and like an assembly line. They were not busy, that night, but we felt rushed to order, to eat, and to leave. The worst part was that the red chile, my personal favorite was thin and runny with no flavor. It was clear with bits of red in it. I had my favorite, a Relleno, Christmas. It was mushy. Almost inedible. There was no heat, no spice. What happened? 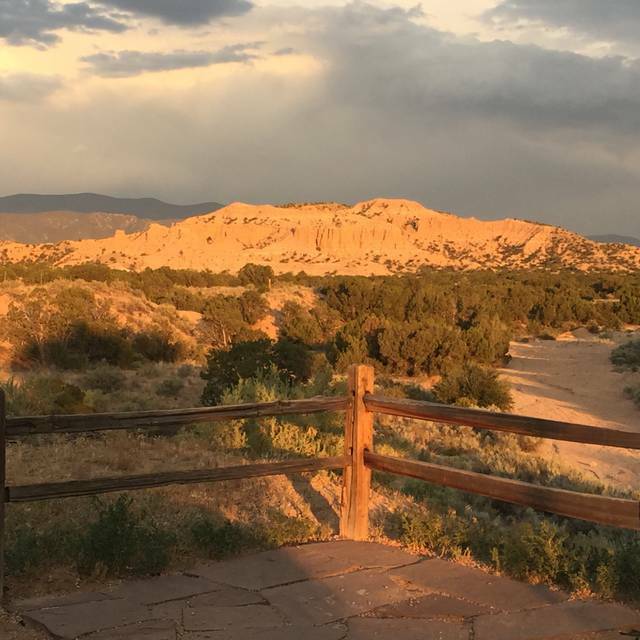 This is a place we go to for birthdays, before the opera, or to bring out of town guests, to brag on the beauty of the area and the amazing food. Now, I might send people for only guac and margaritas, but skip the food. Please, Gabriel's! Go back to what makes you great! Best food in Sante Fe. We always go here when we come to town. Reserved a table for 2 on Valentines and were able to get one at 7pm! We were seated promptly and quickly had a pitcher of margaritas. The Shrimp and steak fajitas were very good as was the table side quac. We come to Gabriel’s every time we are in Santa Fe-a must do for our family. Our experience is always outstanding. Outstanding experience for Valentine’s Day night out had reservations and were placed by table next to kiva with fire going, really enjoyed the ambiance. Waite staff very professional and efficient. Food and drinks were excellent. Always love eating at Gabriels. The noise level was because there were birthday celebrations going on throughout the restaurant. Awesome food and service!!! The food had no flavor, service was poor and disappointing. When our checks were brought to the table, our server asked if we were interested in dessert. Our payment booklet was picked up but not returned. I then asked our server for my change, got a weird look from him and received my change after about 10 minutes, which happened to be the last time he came to our table. We had to ask for refills on our water from an employee that was clearing a table next to ours. 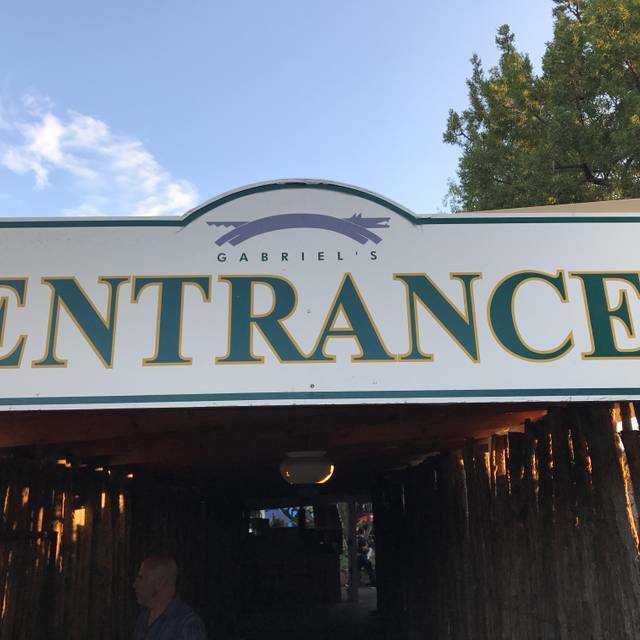 For as many times as we have dined at Gabriel’s, this is by far the worst experience we have EVER encountered. I think Gabriel's is one of Santa Fe's great eating establishments. The food is wonderful. The fireplaces make a cold winter's night cozy. Great servers. I mean GREAT wait staff. We always have fun at Gabriel's. Best guacamole around, awesome prickly pear margarita. I have loved every meal I have ordered there. I highly recommend Gabriel's! Food was delicious and perfectly prepared and presented. Lovely restaurant. Birthday celebration for my husband, party of 4. Excellent as always!! Our table was forgotten about for about 30 minutes- but other than that it was great. Food Is always awesome here. The side table guacamole is expensive for only two avocados but it’s great! I have enjoyed Gabriel’s for many years. 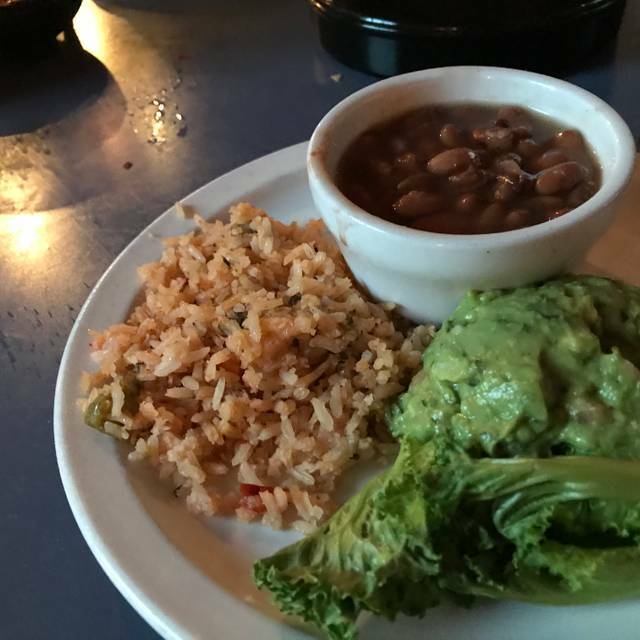 It’s not the fanciest meal, it’s good solid New Mexican fare, well done. I dream about the Guacamole Cart every time I drive past G’s, the cart is a must. The outdoor seating is very nice, the margaritas are spritely and the service is super friendly. I recommend Gabriel’s. Couldn’t have picked a better place to have a New Year’s Eve dinner! Happy 2019! Excellent service! The guacamole was some of the best! Not as advertised! And don’t bother making a reservation because they don’t honor them! Because I spoke up they stuck my party way in the back with very little attention! The food was ‘so-so’ and all of my guests were very unimpressed. My wife’s salad was very soggy she threw more than half the lettuce away. My plate was not that good- I had the combination taco, enchilada & tamale. You would think they would have gotten at least one of the three right???? I would pass this place by!